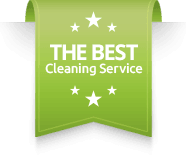 Kulas Maids is your premier cleaning service in Mundelein, Illinois 60060. Family owned and operated, Kulas Maids provides cleaning services for homes, apartments, and commercial buildings. We provide up to date equipment, green cleaning products, and most importantly we hire trustworthy maids. Please call us today to schedule an appointment. Since 1983, our professionally trained and dependable crews of 4 have been serving the Chicago North Shore Suburbs. If you are looking for a quick, affordable and efficient house cleaning service in Mundelein, Illinois, call Kulas Maids Inc. today! We look forward to making your home sparkle! Kulas Maids Inc. trains each of our maids—this guarantees that they are ready and prepared to clean every detail of your home. Our maid service in Mundelein is unique in the way that we can finish the same job at a quicker pace because of our crews of 4 professional maids. For more information, visit our home page and watch our short video.